Having long dreamed of a singing, eighteen-year old Ella, the eldest child of the “All of-a-Kind Family,” believes her lucky break has arrived when she is offered the opportunity to join a touring Vaudeville group. However, her visions of stardom become conflicted when Jules, her beloved fiancé, returns from fighting in World War I. Will Ella choose the risky world of showbiz, or a life with Jules? While Ella struggles with her decision, the rest of the family has some typical all of a kind adventures of their own, including Charlotte giving an interesting haircut to her cousin Ruthie, Henny beating out three boys to be G.O. representative, and little Charlie bringing home a dubious Elijah—Tony the iceman—for Passover. In the end, the whole family comes together to help Ella make the right choice about her future. 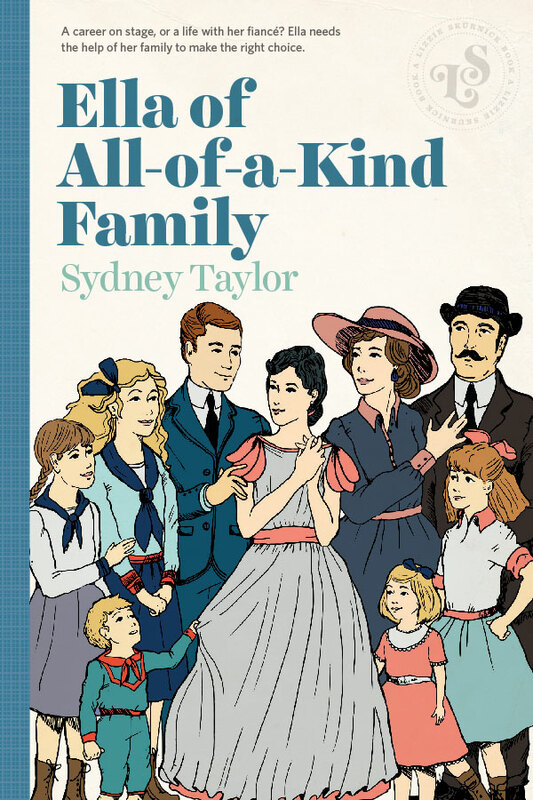 In the final book in the beloved series about a Jewish family in turn-of-the-century New York, Sydney Taylor offers a memorable conclusion to a world long gone that, thanks to her work, will never be forgotten.